Just how much can we fit in a day at Camp Avoda? A lot! Why make things easy? Let’s forgo our lazy morning wake-up and get everyone up early! We have a busy day, boys! While it was a regular day, we had many moving parts, as usual. The regular day consisted of instructional swim, instructional sports and intracamp (think intramural) sports. We had electives galore, with biking, water polo, arts and crafts, ropes/adventure, ping pong, woodshop, basketball and more! 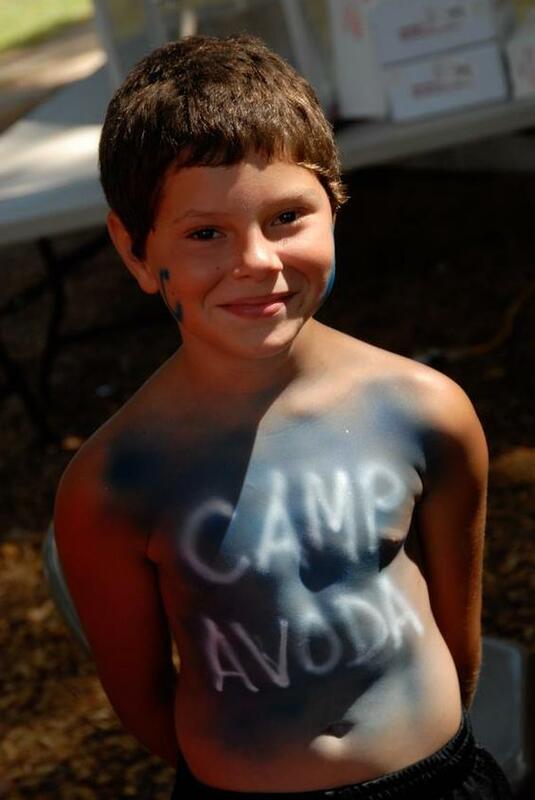 Indeed, Camp Avoda is a great “playground” for boys. We had some new campers arrive to start the new session. We had lots of families touring—people thinking about summer camp for next year. Some saw friends from home, some saw activities that excited them, and they all seemed interested and excited. What’s not to love about summer camp? I am biased, as I was a camper here starting in 1980 and a staff member until 1990. I am still here today working to provide the best summer experience possible for our campers. I know other camp professionals share the same passion and drive. Summers for us are like a train rumbling down the tracks at 100 miles an hour! We finally finished painting our 40-foot tall map of Israel on our Rock Wall through our work with the Foundation for Jewish Camp to promote Israel. It’s awesome! As we move to healthy options and trends, our kitchen staff has been hooking us up with fruit. Not just plain fruit, but amazing, tasty fruit. It was so good—ripe and delicious—that it seems newsworthy to print here! We also sent some boys out to another camp—Camp Young Judaea in New Hampshire (teamed up with girl campers from Camp Pembroke)—to play in their tennis tournament. We held serve. We rallied. We dove. We back-handed. We aced. We came in second overall! Kyle Shuman and Sam Lefkowitz led the way. Our evening activity was Flag Rush—everyone’s favorite. We split the camp into two teams, blue and white, and played capture-the-flag (Avoda style!) on our athletic field. Blue won during the “penalty rushes” after a tied game.